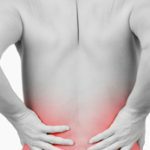 Home / back pain / What is Idiopathic Scoliosis? Scoliosis is a common condition in which the spine develops a curvature. This either occurs as part of the growth process in young people or it can develop with aging in older people, termed “degenerative scoliosis.” Some degrees of scoliosis are mild and require only occasional checkups to measure any further progression of the scoliosis, while others may end up requiring surgical correction. While scoliosis is typically thought of as an S-shaped curve seen when looking at someone from behind, when it develops during growth of the spine, it actually involves abnormal rotation of the bones of the spine. For this reason, there is frequently also rotation of the ribs, leading to what is called a “rib hump,” or prominence of one side of the ribs versus the other. In most young people there is no specific cause for their scoliosis; it is therefore called “idiopathic,” meaning no specific known cause. It is most commonly seen in adolescents aged 10 to 12 and into the early teens when children’s bodies are growing rapidly. Usually either a pediatrician or a school screening will identify a suspected spinal curvature, at which point the young person can have further evaluation from a spine provider, be it a spinal surgeon or a pediatric orthopaedist with that expertise. It can be a surprise to some to find out that scoliosis can run in families, which means that if a child has a parents or sibling with idiopathic scoliosis, the child’s odds of developing scoliosis are increased. In these patients, a pediatrician may watch that child’s spine more carefully for a developing curve. The doctor will first take a medical and family history to check if there could be other causes for the young person’s scoliosis or confirm that the scoliosis is in fact “idiopathic.” The doctor will then do a physical examination to check if all the nerves are functioning correctly. Occasionally, there may be findings in the exam that will require further evaluation such as with an MRI. The doctor will take an X ray of the spine to measure the degree of spinal curvature and look for any additional problems such as a difference in leg lengths that may in turn be affecting the spine. At times, the curve may be seen to be relatively small on X-Rays; in these cases, the person is not diagnosed with scoliosis, but instead diagnosed as having a “mild spinal curvature” that does not necessarily need to be followed over time. 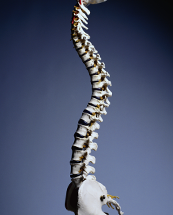 A spine physician may also check X-Rays in which the patient bends to each side to determine how much the curve straightens out. This gives further information as to how stiff the curve is. Based on all of this information, the doctor will then create a treatment plan, depending on where the spine curvature is located and its size. Treatment not only depends on the size and location of the curve in the spine but also depends on the age of the patient and, most importantly, whether the young person is still growing. Typically, once a young person is finished growing, the curve will stay the same size and usually will not get any bigger. If the curve is small and the patient is still growing, the treatment is usually to observe the curve over time. The young person will typically come in for a checkup every 6 to 12 months for a physical exam and Xrays to see if the curve is getitng any bigger. The spinal surgeon may recommend that the patient wear a back brace designed to stabilize scoliosis. It is important to remember that the goal of bracing is NOT to make the curve smaller, but instead to keep it from getting bigger. A back brace may be used when the curve is medium-sized or has grown bigger in a relatively short period of time. A brace is only useful when the patient is still growing, as the goal is to further guide the spine’s growth. 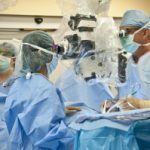 In some situations, such as a large curve or one that is quickly progressing, surgery to correct scoliosis may be recommended by your spinal surgeon. This involves getting the bones of the spine to heal together, or “fuse,” over a portion of the curvature. While the primary goal is to fuse the bones together such that the curve does not worsen, often the curve size can be decreased to some degree. In a very young patient with a lot of growth yet, the decision may be to wait until the patient is a bit older, since fusing a portion of the spine means that that portion of the spine will not be able to grow any more. To keep the bones in place while they fuse, metal is placed within the spine, typically consisting of rods and either screws or hooks that attach to the bone. These generally stay in the spine even after the bones heal together. Some adults may have idiopathic scoliosis that did not require any treatment when they were young but can cause issues as they age. Particularly in women, weakening of the bones with age may lead to worsening of a curve that had been the same size for years. Any adult with scoliosis who thinks that it may be worsening with time should see a spinal provider to further evaluate. Lifestyle changes to strengthen the muscles of the back or checking the strength of the bones in the spine, ie measuring the “bone density,” may be important to maximize the health of the spine. Adult patients with a history of scoliosis may also develop nerve symptoms as they age such as tingling in the legs; this can also be further evaluated by a spine surgeon to see whether it could be due to the curve in the spine. If these symptoms are due to a curve in the spine, there are multiple options short of surgery such as therapy, medications, or injections which can help. A spine provider is the best resource to figure out which of these options will be the best for an adult with a symptomatic spinal curvature to get them back on their feet and back to full function!